Nyanya's Onsen Matsuri!! is a full color B5 sized doujinshi, staple-bound, and 18-pages in length without counting the covers. 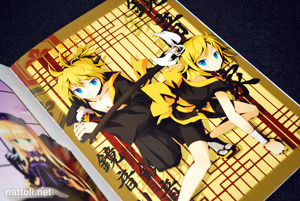 The illustrations range from the ever popular Touhou to Vocaloid to some original creations. I think the only non-Vocaloid or Touhou fan art is from Gosick. 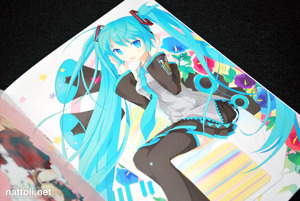 Five of the illustrations feature Vocaloid characters, but they are for the most part out-of-character costumes, so it makes it more interesting. 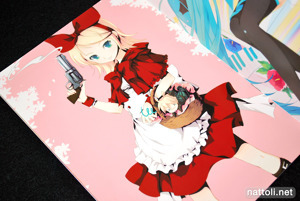 There's one cute one of Kagamine Rin dressed as the fairy tale character Little Red Riding Hood. 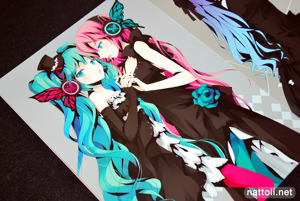 Another features Vocaloids Hatsune Miku and Megurine Luka in their Magnet music video costumes. 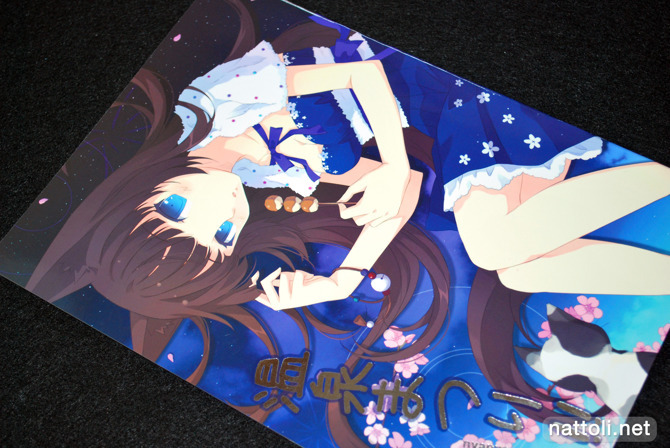 There are two Touhou illustrations that I'm sure about in Onsen Matsuri!! though there is one other one that looks like it should be in Touhou, but it's original. The Halloween-themed illustration above is also an original character, along with the picture with the two girls applying make-up. I guess you could consider the cover girl an original work, but it really feels too much in homage of H2SO4's designs. 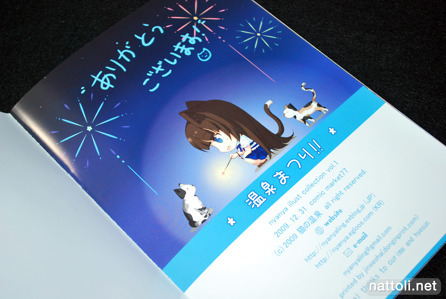 There is one guest art work in the book by Cu-rim, a fellow Korean artist who has more works on Pixiv than Nyanya. For the most part, I would like to see where Nyanya goes from here, because even with the beautiful coloring and finishing, the art style still feels a bit rough around the edges. Nice art, might have to keep an eye on this artist.